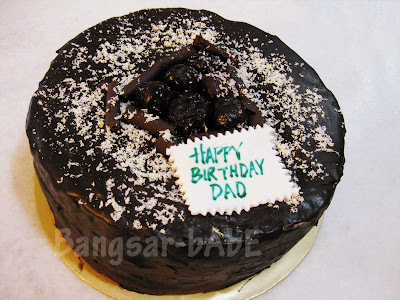 Bangsar-bAbE: My mum saw my post on your lunch party, and she wants your Black Forest Cake for my dad’s birthday. Can? 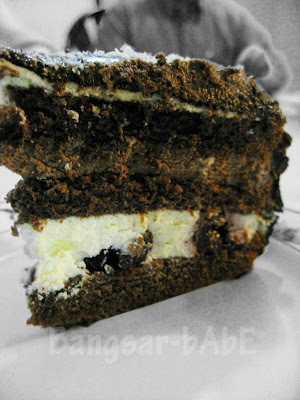 *Black Forest Cake is also known as Black Forest gateau (in UK). 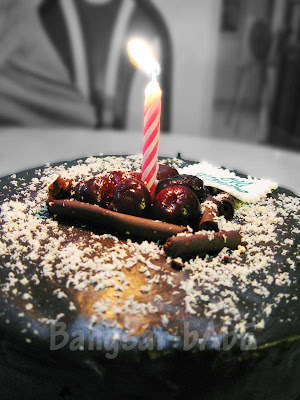 Don’t we all love black forrest… yumm…. myself havnt tried the black forest, but his mars cheesecake was yummy too! u lucky gal, u managed to try so many of his divine creations! I ordered this too from FBB. The cake was so delicious! Have you tried his chicken pie and bacon mushroom quiche??? To die for!! will see whose bday coming up and get from him. must b super good, normally birthday cake can’t be finished by 6 pax…..
taufulou – Have fun choosing from his variety of cakes! Amelia – Yup yup yup! He’s very generous with the booze too! Sapuche – Thanks on behalf of my dad. Yeah, it was delish! The brandy truffle cake was really good too. Rich and booze-y!! I’m reeling just from looking at the mysterious darkness and reading “Rich, liquored pure cream and whole black cherries…” They ought to make music out of food description like this! And what’s this Precious Pea’s comment about a chicken pie and bacon mushroom quiche?? FBB´s cakes are legendary! Have you tried his Durian cheesecake? My god! Its really good! 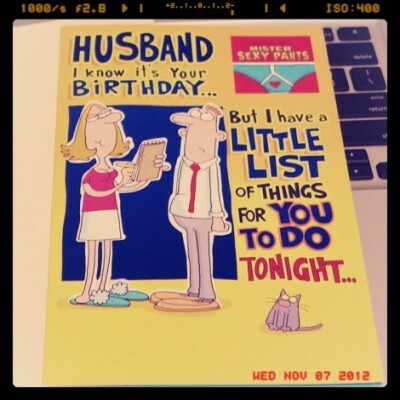 Too bad I can´t have them as often as I wish. Is this cake with Cherry Liquor? Coz the original here are with that and its really good. yeah its out for sale! after his boozy desserts..i can barely taste booze in desserts sold outside in restaurants! I have yet to order one from him 🙂 but top on my list are Spencr’s Four Season and Mango Cheesecake (I’m a penchant for mango)! yupe, yupe. i highly recommend fbb’s spencer four season. really good stuff! even my 1 year one niece liked it! with alcohol somemore! haha! 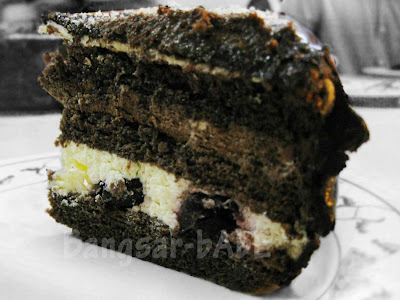 i tried the blackforest as well. really refined stuff! Lianne – Not yet, I want to try his Durian Tiramisu too! =D I don't know if it's with cherry liquor, have to ask FBB that. FBB’s cake is a real treat. Slurp. I got to try his Durian cake on my birthday. Simon – A treat indeed! Rich and heavy on liquor….nom nom nom!! hahah, glad you liked it. actually, i havent got a hard and fast recipe for this cake yet, and just go with my instincts. also, to answer lianne’s questions, no, its not kirsch or cherry brandy….its just normal brandy with the reserve syrup from the cherries la. very exp to use kirsch…unless we have a sponsor from europe who’d send us a shipment hor…..